Although hardwood floors are becoming an increasingly popular form of decorating, almost every home in Oakville has carpet in at least one or two rooms. Vacuuming is great for picking up day to day dirt that tracks into the room. However, when they choose one of our carpet cleaning packages, residents in many different situations will find that they benefit greatly. When it comes to carpet cleaning in Oakville, residents who suffer from allergies and asthma find that there are many benefits. When dust gets deep within the carpet, it can make breathing difficult for anyone who comes into the room. A vacuum will simply not be able to do the carpet cleaning that is necessary to alleviate the symptoms. When they take advantage of carpet cleaning, pet owners find that having their furry friend in the house is far more pleasant. Carpet cleaners are able to draw out pet hair that has been stuck deep within the carpet for many years. If someone has a pet that is prone to shedding, they may have difficulty cleaning up after them without professional help. If someone feels that they need to take advantage of allergy relief cleaning for their carpets, they may also want to consider their mattress. 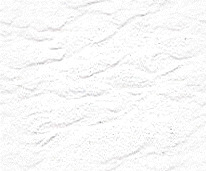 Many mattress cleaners are also able to work with mattresses and will combine the two services into one package. When dust mites live on a mattress, they can make it very uncomfortable and difficult to get a good night’s sleep. 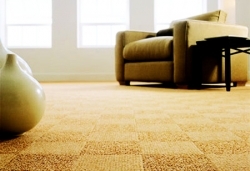 There are advantages to carpet cleaning, many may not be aware of if they have not looked into it before. They may think that their vacuum is taking care of everything, but there is most likely more dust hiding deep within the carpet. When they use a professional cleaner, they will know that every last piece of dust is out of their beautiful carpet. For those that have slight allergies or no allergies, regular steam cleaning will suffice.